Julia Tapp Earp, 90, of Raleigh died Sunday, Nov. 5, 2017. Julia was born in Roxboro, NC and was the daughter of the late Charlie and Annie Tapp. She married Clarence Earp and they lived in Raleigh for all their married life. She helped run "Suburban Market" which she and her husband owned. It was known at the "Little Store" on Anderson Drive. She worked at ITT and retired after over 20 years. Julia loved the beach and spent as much time there as she could. Julia was a quiet lady with few words but was a strong southern woman with who was fiercely independent. Julia is survived by her sons, Charles Earp (Susan) of Raleigh and Bernie Earp of Knightdale; her sisters, Joann Blinson of Raleigh, Jean Painter of Roxboro and Demetris Tapp of Nashville, TN. She also is survived by her grandchildren Shelley Aldridge (Barron) Raleigh; Angie VanDyke (Darren) Raleigh, Jenny Helms (Brandon) Charlotte, and Natalie Snapp (Nathan) of Clayton; and 8 great- grandchildren. 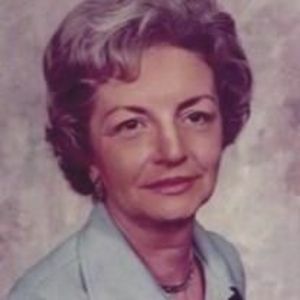 She is preceded in death by parents, Charlie and Annie Tapp; her husband, Clarence Earp; daughter, Debbie Earp Stanly; grandson, Richard Matthews; sister, Shirley Duff, and brother, Bobby Tapp. Heaven has gained a new angel and a little part of each of our hearts who loved her dearly. A graveside service will be held at Raleigh Memorial Park, on Thursday, November 9th at 1:00 p.m.